What if you could have other people send you their best traffic for free, making you $50,000-$70,000 a month, while you sit back and do nothing? 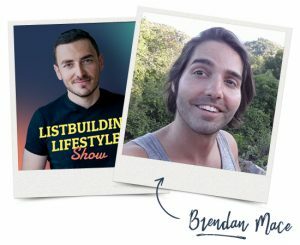 This week I’m interviewing Brendan Mace about his life-changing success with product launches. Brendan is averaging $50,000 per month working just a few hours a week using the product launch model. 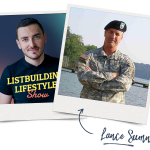 This is a valuable episode for anyone isn’t afraid to get their hands dirty in exchange for unlimited free traffic. hundred-thirty-one thousand-six-hundred-and-fifty-six email subscribers at a profit. 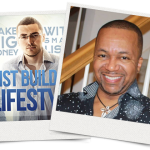 it's time to claim your list building lifestyle. 00:01:13] conducting 17 webinars one after another in a span of three days. Brendan Mace, thank you so much for joining us today. Brendan Mace: Hey man, what's going on? Thanks so much for having me on, dude. I've been a huge fan for a long time so it's a big honor. pretty much have this formula down that I've been kinda tweaking and testing. brings in a pretty good income. Brendan Mace: So I basically jumped online maybe about like, eight years ago. kind of like a mindset thing like you were sort of hinting towards earlier. that's been working for me. groups of people happy, you can make a lot of money. the backend. So once you get these buyers, these people that have bought into you. keep buying from me again and again and again. Brendan Mace: That's entirely what it is, yeah. they have a less likelihood of buying with you or, maybe you've heard this myth. can convert him and stuff like that. quick and they got no more asse- like they got no asset to the business. part of your customer database? at them. You've actually researched and you know what you're showing them. really gonna pay attention to. make big money and I've been, again, I've been saying this for years on this show. from the product I can't control what the other person's gonna get. So when you realize that it's not just a number on the list, I'm just opt-in data. make money incognito style. You know? and trying to make money online. 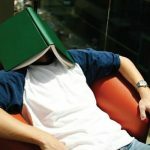 product" it's like, for them, you just told them, "Go and solve the Rubik's cube"
would anyone buy it or promote it? other people what you did, you can make a lot of money that way. most rich and like, the gold rush, is the people selling the shovels, right? showing people about those methods. results and well, lo and behold, I have none." What do I do then? where I made almost no money 'cause I never took anything seriously. both parties can get all of those buyer leads. and may not even have free time to do it because they're experts in their field. everything but there were a couple things I was really passionate about. recordings like this podcast. So what I've done is I've done some voice training. that I could market and I called it, "Voice that Makes Millions." big company to do all kinds of creative work for them. 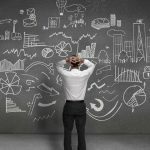 mistakes that you've ever made with this strategy? where I show you everything that I know step by step. Has all this done for you. me that piece of the puzzle that I need to kind of make a run at this. promotion that are onto my list in the followup, is called the New Traffic Source. like the same old thing, nobody will buy it for sure. did. That's a big, big tip. him?" So if anyone wants to work with you, how can they do that? I ever put out that showed how I was making like, $9,000 a month at the time. appreciate you sharing your $70,000 per month system with us. Brendan Mace: Awesome, it's been a real pleasure, man. Thanks for having me on. Igor Kheifets: Alright, so 'til next time we chat, have a good one. experience. Just go to Igor.cx to claim your free seat now.